We’re supposed to Slip Slop Slap to protect our skin in summer – but the sunscreen you use could be just as dangerous as the sun itself. Plus, a man’s quest to get justice from a second-hand car dealer, and A Current Affair gets to the core of the baby formula supply crisis. 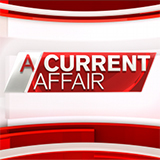 A Current Affair was broadcast on Channel 9 at Sunday 10 February 2019, 20:18.